Spring is here and for most of the United States, that means the return of highway road construction season. And with road work comes the inevitable construction zone accidents involving big rigs. According to the Federal Highway Association, a fatal construction zone accident involving a truck occurs once every three days. While making work zones 100 percent free of accidents seems like a long shot, especially in these days of distracted driving, there are steps that truck drivers can take to help avoid accidents. 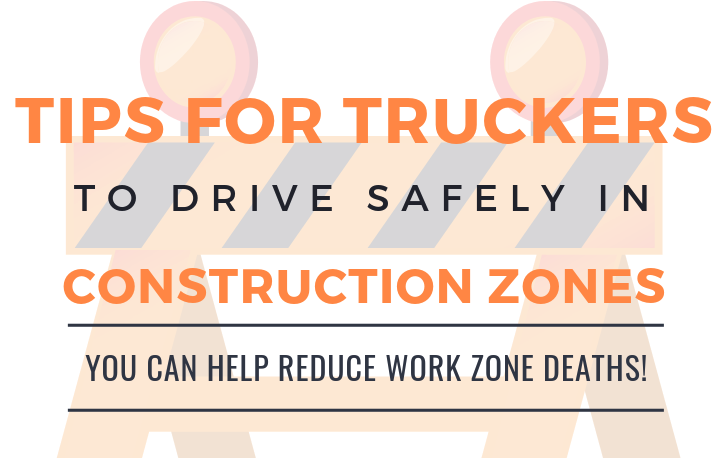 So, to mark the FHWA's annual National Work Zone Awareness Week of April 8-12, 2019, we thought we'd share the infographic below, detailing tips truck drivers can use to avoid construction zone accidents.